Are you looking for a festive/elegant necktie but have difficulty finding one in extra long length? If so, then this is your tie. 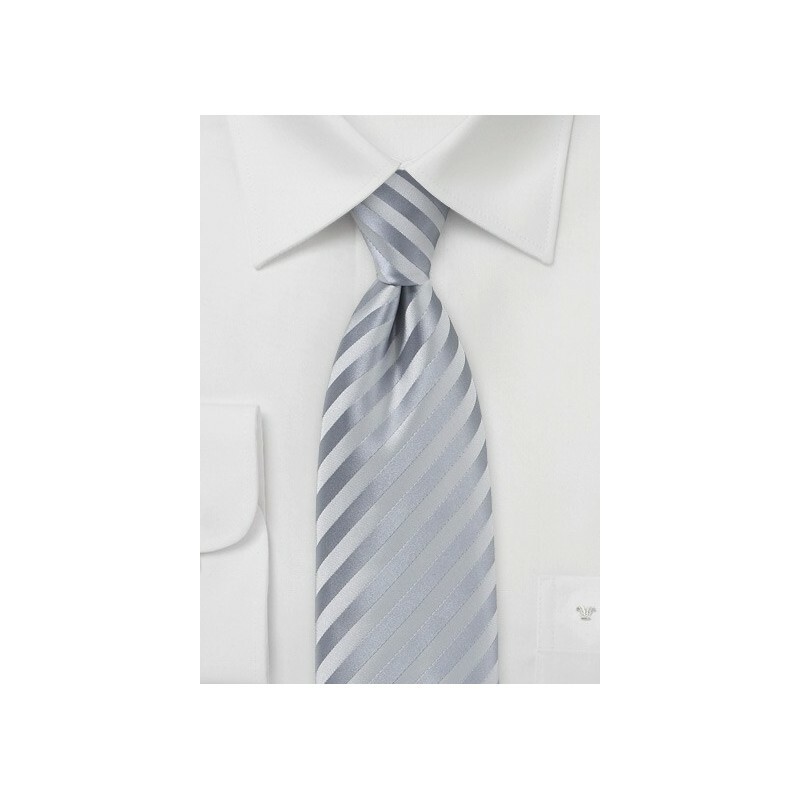 The tie measures 62 inches in length and it about 4 inches longer than a regular sized necktie. It is the perfect tie for any man taller than 6 foot 3 inches. 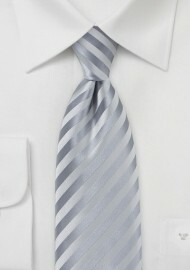 The silver color on this tie has an excellent shine which adds to the formal look. The subtle stripes on this tie are not printed on but are created by alternating the waving direction of one single color yarn. A truly stunning necktie perfect for the formal occasion. This tie is also available as regular sizedSilver Necktie.